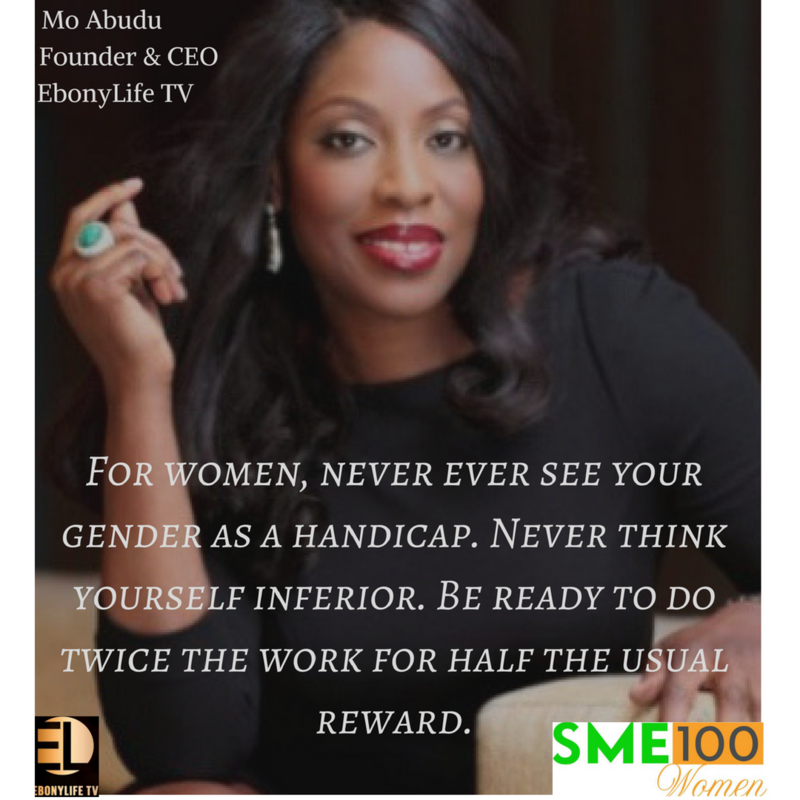 CEO EbonyLife TV, Africa’s first Global Black Entertainment and Lifestyle Network. The channel currently airs Pan African on DSTV Channel 165, as well as in the UK on the Talk Talk platform, providing premium, original and home-grown programming to its ever increasing viewers. In her words “For women, never ever see your gender as a handicap. Never think yourself inferior. Be ready to do twice the work for half the usual reward. When the door isn’t opened, kick down the door. Anyone who wishes to be an entrepreneur must know that bright ideas are great, however, they are not even half of the work; execution is everything. Yes, as the saying goes, ‘there is nothing more powerful than an idea whose time has come, but when that time comes, you must be prepared to bleed sweat, tears and blood to bring your ideas to life.